[WIU] Weekly Incubator Update: 2017, Week 38. Note: Data retrieved on 2017/09/25 at 17:27 (UTC). Entries (Courses entering the Incubator): Chinese from English. 39 beceri hazır, 40 beceri sırada. 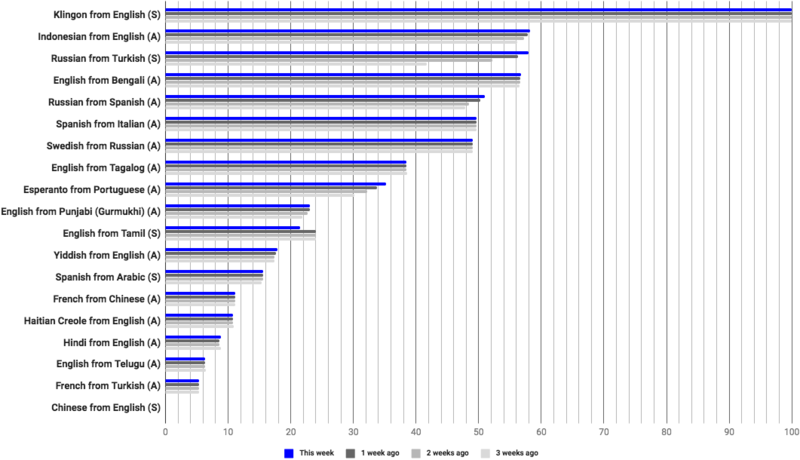 Nice to see Chinese in the incubator. 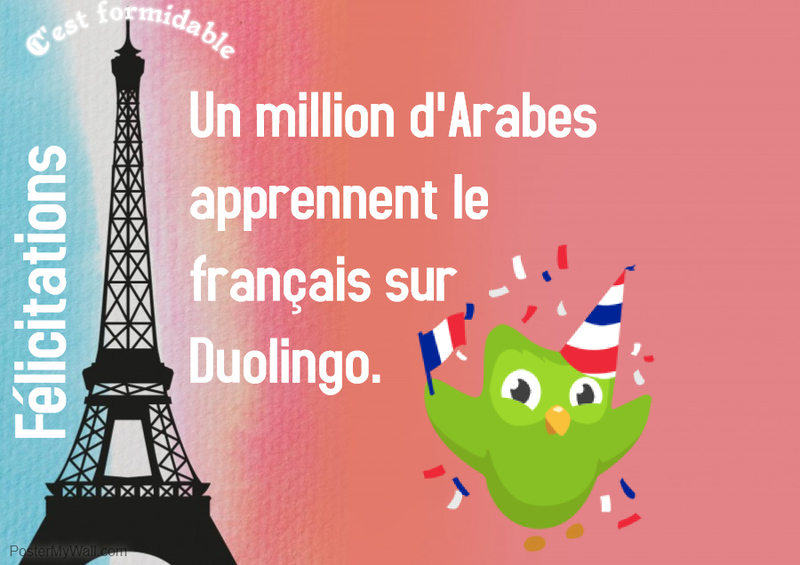 One Million Arabs learning French on Duolingo. 39 skills are ready, 40 skills are in the queue. Postscript: I am sorry to say the active contribution of mine will be at the least level. This year is my matriculation year and I've been focusing on YGS and LYS (the university entrance exams in Turkey). When I joined the team, the Russian course was 48% (literally 10-15% because of the same reason above), I remember it very well. Now I leave a 76% behind myself and I am proud of this! Preparing the Russian course, or rather preparing any language course is something time-consuming (I spent at least 3-4 hours per day, although the average was 3-4 hours per week), at least I gave solace to myself by contributing to the course amazingly every week in my spare time, on holiday. Because I knew this day would come. See you until I prepare the most comfortable and the truest study system for me and my future! :) I am off for a while. Additively, this is not the proper place to say but I will not be that active in the discussion forums as well generally anymore. I can only spare time to the quality questions (related to English language) of the quality people; I won't spare time to the absurd discussions of teenagers. Thanks. I'm really sorry about that, Google translate is awful. Glad to see that Chinese is finally in the incubator! Now just awaiting Finnish, Nahuatl, Basque and Arabic. About 20 years before Yiddish. I would love learning yiddish, especially with the latin script so I don't have to re-learn the hebrew charecters well. Plus yiddish words are my favorite.